Streams that have a large amount of suspended solids often need to have those solids removed before treatment. A model ST-Tank is specifically designed to collect fluids and allow retention time for solids to settle. A solids filtration unit is designed to reside below the tank to collect the solids for disposal. 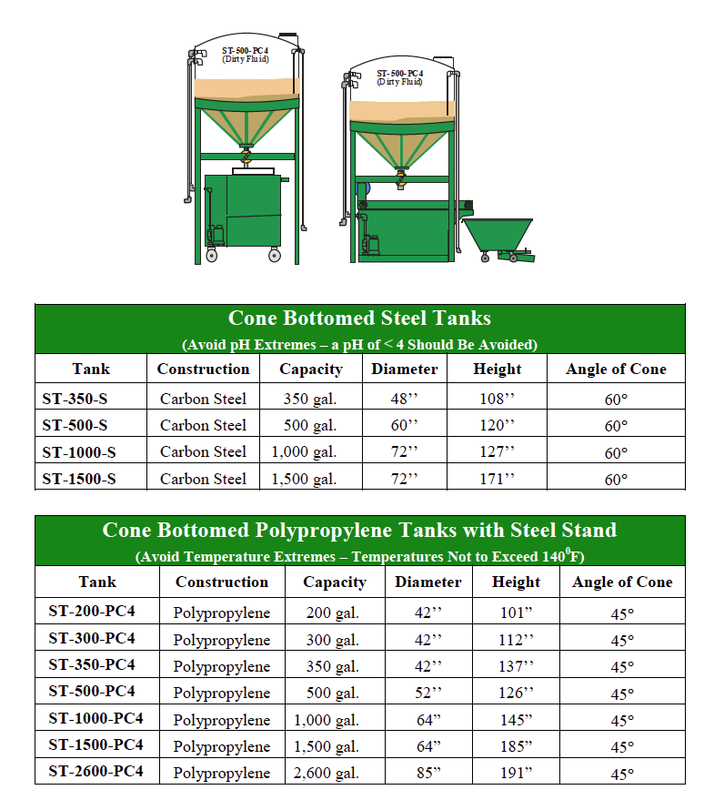 The ST-Tanks have a 45 angle, and are available in several sizes in steel. Optional equipment is also available. Certain size ST-Tanks are available in 60o angle. ST-Tanks are available in 350 gal., 500 gal., 1000 gal., 1500 gal., and 2000/+ gal. Capacities. Automated sludge valve for hands free “burping” of accumulated solids. All tanks carry a full (5) year warranty against leakage. All steel tanks and components are coated with two-part epoxy paint. For details on options see data sheets included in this section.